The church wants a revival... of sin. Well, at least that's how many in the church act! However, I think that many or most of those who are supporting a sin revival don't realize that that's what they're doing... and therefore I should try to be fair and say that I realize where they're coming from, because I once thought the same way. What I'm talking about is the preaching of the Law in the Christian church. 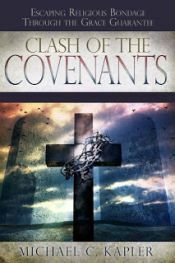 I've talked a lot on this blog about the purpose of the Law so I won't go into great detail right now, but I'll just give a brief overview of New Covenant revelation about the Law. When the Law came, several things happened: The Law became a curse for everyone who did not keep it (see Gal 3:10-14) - and no one has kept it; the world was confined under sin (Gal 3:21-23); the world was condemned (2 Cor 3:9); sin abounded (Rom 5:20); sin was made exceedingly sinful (Rom 7:13); sinful passions were aroused, bearing fruit to death (Rom 7:5); the Law aided in the revival of sin (Rom 7:9-11); the Law acted as a tutor that would show people the true depths of their sin and condemned state, leading them to the Savior, Jesus (Gal 3:24-25). The New Covenant teaches us that all of these things (and more) are the true purpose of the Law. The Law doesn't aid us in Christian living. In fact, it's just the opposite! The Law won't help a person who is indwelled by the Holy Spirit any more than the Law will help a person who doesn't have the Holy Spirit. That was never meant to be the Law's purpose. All of this said, remember that the Law is holy, and the commandment holy and just and good! (Rom 7:12) I'm not putting down the Law. I'm not saying that the Law itself is not good. In fact, the Law is so holy and just and good that the only thing it can do in a relationship with sinful man is to condemn and to do all that the New Covenant reveals about it, as summarized in the above paragraph. But yet the church continues to teach and preach the ministry of death and condemnation as valid ways to aid in holy Christian living. That makes no sense! New Covenant scripture has given us revelation and enlightenment about the true nature and purpose of the Law, and yet we seem to skim right over it, and make the absolutely-new-and-fresh New Covenant out to be nothing more than Old Covenant Part 2. And that's sad, because the Law can do the same thing in the mind and life of a person indwelled by the Spirit that it was meant to do only in the life of an unbeliever. It can bring about feelings condemnation and fear. It can still aid in the arousal and revival of sin. In Christ, there is no condemnation. Christ has set us free from sin. So why do we teach and preach the very thing that is meant to bring these things on? You may think that since a Christian is indwelled by the Holy Spirit, then something as holy and just and good as the Law should be viewed as a gift from God that goes right along with His Spirit in us, helping us walk in all holiness and goodness. But it doesn't, and it won't! Any one of us who has been a Christian for any length of time knows that we still sin, right? So, as Christians who have the Holy Spirit living in us, we're still able to operate independently of the Holy Spirit, right? If we were co-operating with the Holy Spirit at all times, we would never sin, right? And so even though we're no longer "in the flesh," as Paul plainly states in Romans 8, we can still behave as if we were walking according to the flesh. We can still make choices that are not in accord with our true nature of righteousness and holiness. So what brings this on? What leads us to sin? One obvious reason is that we're tempted by our own fleshly desires (our desires that we have apart from our union with God) and we don't put to death the deeds of the flesh by the Holy Spirit, as per Col 3:5. But one HUGE thing that gives rise to independent living - living as if we were still in the flesh, apart from God - would be the teaching and preaching of the Law! If we look at what the Law's purpose is (see again the second paragraph above), why would we EVER want to preach this to people who have come to know Christ and have escaped the fleshly lifestyle of living by the Law?